Whether or not you know anything about the Tarot, Numerology or the ancient archetypes of the Sacred Feminine, you’re sure to recognize a woman who’s embodying her Inner Empress. You know that woman, who draws the attention of everyone in the room, with her deeply rooted self-confidence and her clear sense of self-worth and self-assuredness. Whether she’s the CEO of a major company, or a mother doing the school run, women who are at one with their inner Empress appear to be in full control of their lives, oozing effortless creativity and magnetizing abundance and good fortune while others only seem to be chasing it! The Empress stands for sovereignty. Not ruler-ship or dominion over others but an authority and a mastery over your own life. Deeply connected to her sensuality, and therefore to the sensuality of her environment, the Empress is one of the most potent of all divine feminine archetypes. She is the keeper of earthly delights, the bounteous, generous provider and the queen of the fertile Earth. She is able to give so freely because she knows how to ask for what she needs, unapologetically. She empowers by expressing empowerment. She is fair, just and compassionate, and is deeply, intimately connected to the patterns and rhythms of nature. She appears in almost all of the myths of our past, expressed through various stories of our Gods and Goddesses around the world; and shows up clearly today in many guises too, in TV, film, literature and in everyday life. The Empress belongs here. 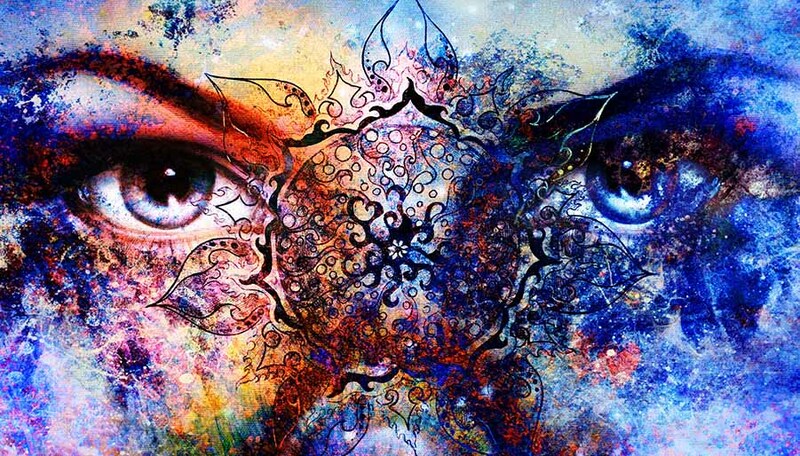 This is because her essence lives in each one of us (female and male) and her energy is becoming increasingly important – and necessary – as we make the shift towards the New Earth, and cycle through these intense, collective paradigms of change. So why is the Empress such an important energy for us to activate and invite into our lives? Because she is, quite simply, our anchor to the Divine Feminine in a very physical, tangible, material way. The energy of the Empress is grounded in sensory and sensual experiences, and she encourages us to breathe in the beauty that surrounds us, letting it seep deep into our bones. If the 6 is one of your core numbers, it’s likely that you instinctively carry many of the qualities of the Empress archetype BUT, it also could mean that you may have particular challenges related to her too. So it’s especially important for you to work through those. And if you don’t naturally hold a lot of this number’s frequency in your chart, activating it, alongside your inner Empress could be hugely empowering for you! Here are some simple, everyday methods you can use to cultivate the power of your inner Empress and seriously increase your sense of personal power. Dive deeply into your senses, and taste, touch, sound, smell and really see the world you live in. Feel presence, pleasure, and fulfillment as you do. Treat yourself to a day spa, a massage or a facial. Go out for a gourmet dinner or buy a juicy basket of fresh fruit. Gift yourself a bouquet of flowers, or just inhale their heady scent as you pass by the stall. You don’t have to go to extraordinary lengths – the Empress, and the Number 6 are ruled by Venus, a planet which brings pleasure and beauty home, so you don’t need to seek these sensations from afar. The Number 6 intuitively knows that caring deeply and actively for others will help us ALL to thrive. It knows that compassion is what enables the highest versions of ourselves to emerge. Believe in people’s best intentions, efforts and qualities. Pre-suppose them, see them, treat people as expressions of their best selves, and you help them to be created. This will truly uplift and evolve everybody. Do not deplete your own strength. In its highest expression, the Empress understands that you must give from an overflowing cup – not by tipping out your own reserves. So it’s really important to practice self-care in whatever form this looks like. This article explains in more detail. The Empress is a micro-cosmic aspect of our greater Earth Mother. To embody this energy in your own body, mind and spirit, means that you are merging with the energy of the Goddess. So allow this to happen – connect with her! The very best way to do this is to get outdoors, go somewhere wild and untouched, and engage your senses. So WHY will Activating your Inner Empress Make you the Most Empowered Woman in the Room!? To be truly empowered, you need a purpose. And you need a great swathe of energetic support holding you up and pushing you forward when the going gets tough! That woman, remember, the one who draws the attention of everyone in the room for all the right reasons, knows this, and she has tapped into it! She’s tapped into the energy of the Earth and its deep-rooted wisdom, support and guidance, and that is why she turns your head. That is why she magnetizes abundance and good fortune –because she is connected! Want to learn more about the energy and archetypes of the Divine Feminine, and how they relate to your personal Numerology? Click HERE! The Empress is one of the boldest and most necessary universal expressions of the new paradigm. She’s rising now because we are ready to open up, activate and unlock her power once again. Share with us below how you can see and feel the emergence of this powerful archetypal energy, and what changes you are making in your life.